This is the POWDERED Red Horn Kratom. This high alkaloid RED HORN strain of Kratom has an average Mitragynine content tested and verified by a third party at 1.8%. This is our most mature leaf, and is offered in very limited supply. This leaf outsells our Maeng da and Bali varieties combined. We have a private grower for this organic leaf, who hand picks the leaves, dries them, and sends them to us in VERY limited quantities. The quality of this Mitragyna speciosa dried leaf is due to the extra care taken during harvesting. We are proud to offer this unique Kratom product. All of our Kratom is verified authentic by Columbia or Wonderland-Labs, and we only choose the highest quality Kratom leaf and powder from verified sources. Nearly 2 decades in business, we have a wide variety of sources, and only the best sources make it through our strict screening process. 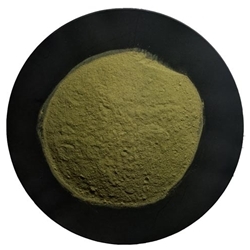 Why trust Borneo Red Horn Powdered Kratom from anywhere else?